After a misty morning drive over the Kopu-Hikuai hill, I made my way up the Kauaeranga Valley to our meeting place at the DOC visitor centre at 8:20am. It was going to be another hot sunny summer day in the Coromandel. And I was looking forward to seeing a part of the Coromandel range I had not seen on my many previous trips in the area. After the usual disclosure form requirements we met our two guides, Alex and Gareth, and jumped in the van for the short drive further up the valley to the road end and Canyonz headquarters – a kiwi classic well stocked shipping container. We were kitted out with the correct fitting gear (wetsuits, harnesses, helmets and shoes etc) and before we knew it we were on our way by foot up the classic Billy Goat track….called Billy Goat for a reason! This track is used by thousands of visitors every year – usually on their way down from one of the most stayed at DOC huts in NZ – the Pinnacles Hut. All the way up Alex and Gareth shared a wealth of information about the history of the area which was such a welcome addition to the trip and this continued throughout the day. The climb took about 1 hour and some 300 metres up (vertically). One of the group mentioned her fitness was terrible and she was dying, to which a reply came back that “the good news is what comes up, must go down”. This is where the excitement/nerves set in! Over the next 5-6 hours we did a series of abseils, with a couple of jumps thrown in (up to 14 metres for those with the biggest kahunas!). 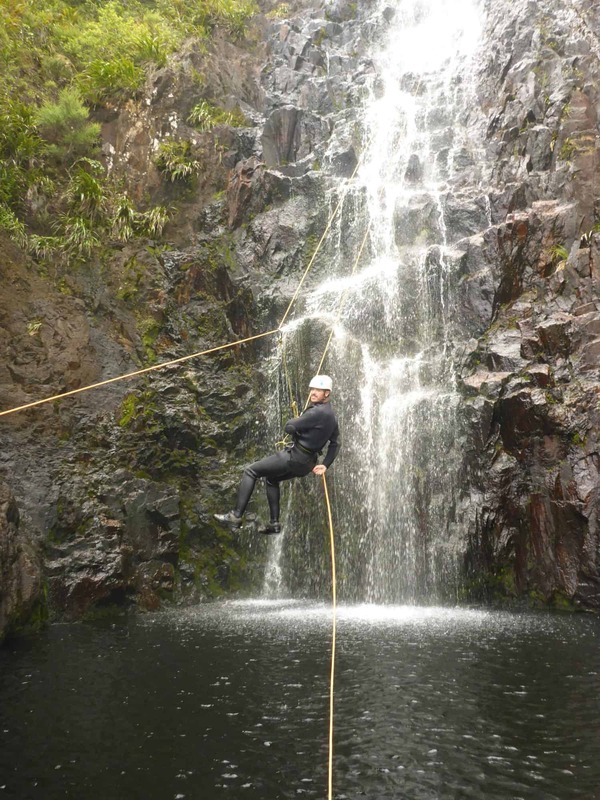 A slide, a zipline and a flying fox. The abseils ranged from 15 metres to 50 metres and all of them had their own unique features and amazing views of the valley below. Alex and Gareth were so professional and competent. At one stage in the afternoon our group were chatting while they were setting up the next line, we realised that it had not really dawned on us, the responsibility they carry. We all felt that safe in their hands so to speak. On trips such as these I often notice the small things that separate a really good professional guiding company from the others. There were many on this day that would assure the most nervous customer they are in the right hands. One such thing (other than the guides themselves) was the fact they were wearing exactly the same helmets as us. It seems trivial but shows they “get” the details and that clients safety is of paramount importance. 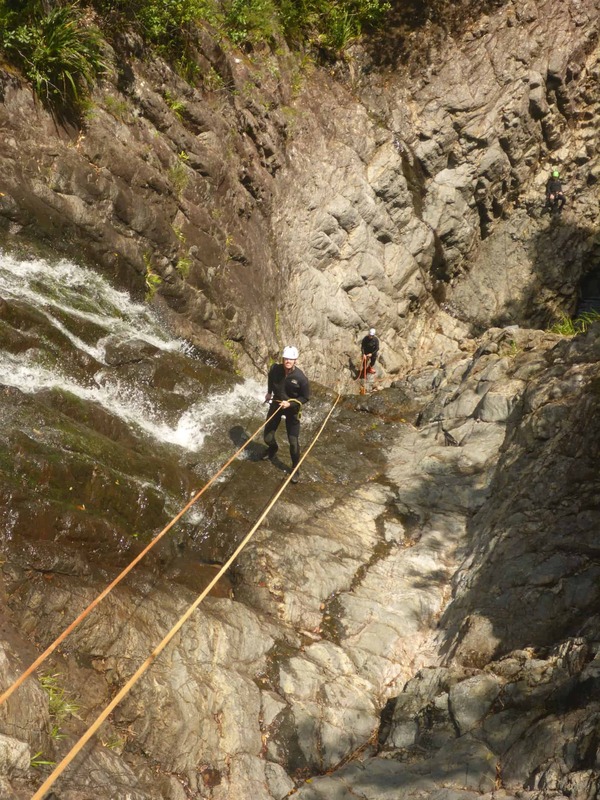 We had a 30 minute walk out after the last abseil, which was another great opportunity for the group to share the days experience and general chatter. Upon arriving, Alex, who had taken a shortcut back, already had the bbq on and the deckchairs ready. It doesn’t get much better than that! 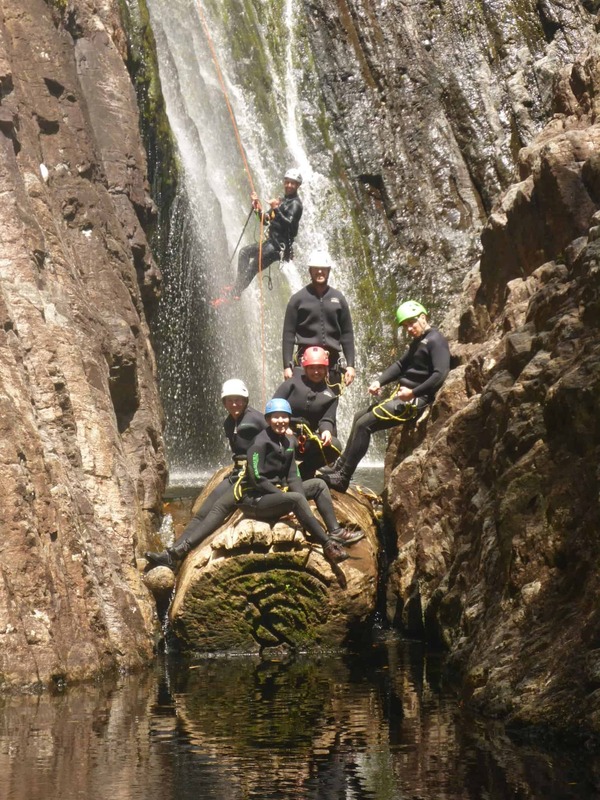 One thing I took from this trip was not only the adrenaline of the canyoning itself, but how the incredibly talented and professional crew at Canyonz are. 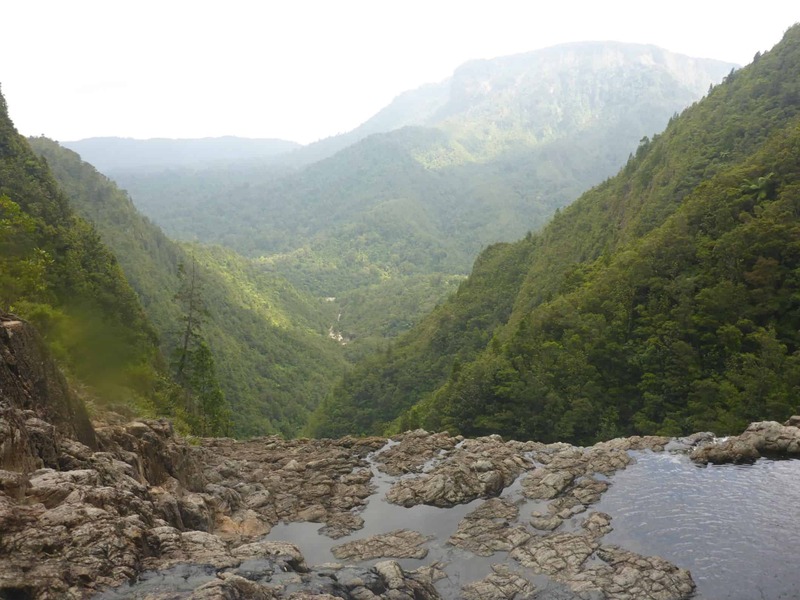 To run such a trip that allows us to see this amazing part of the country and its sheer beauty. So, if you go, take some time out while perched up on those ledges waiting your turn. Take in the scenery and appreciate how lucky you are! 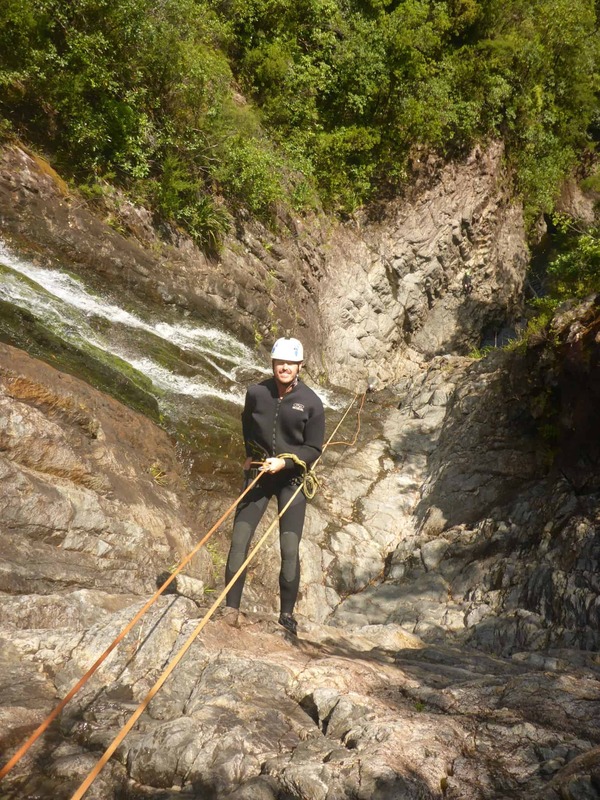 If you want to include this awesome canyoning experience into your New Zealand holiday or on a weekend in the Coromandel, then get in touch with us and we’ll get it organised for you. 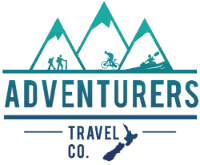 I’m Rachel Howells, the owner and operator of Adventurers travel. I’m passionate about outdoor sports and activities, adventurous challenges – anything that involves the freedom and exhilaration of the great outdoors.